Tatcha LLC v. Too Faced Cosmetics LLC, (N.D.Cal. 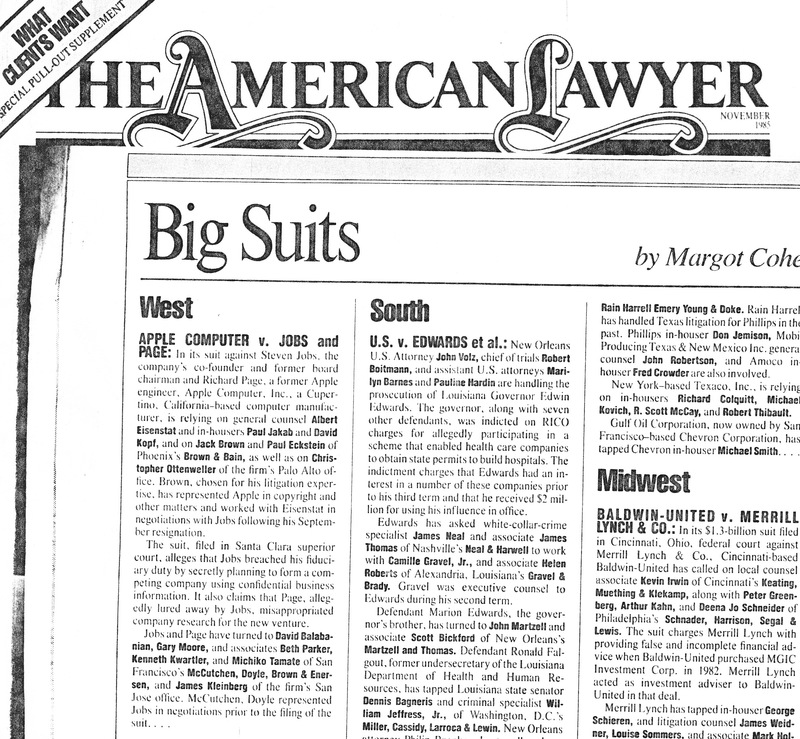 2016) (action for trade dress infringement and related claims), (in collaboration with outside counsel Marc Levy and Brian Mitchell), http://kwartlerlaw.com/experience/reported-opinions/ article see Law360“. Chattanoga Manufacturing v. Nike, Inc., 301 F.3d 789 (7th Cir. 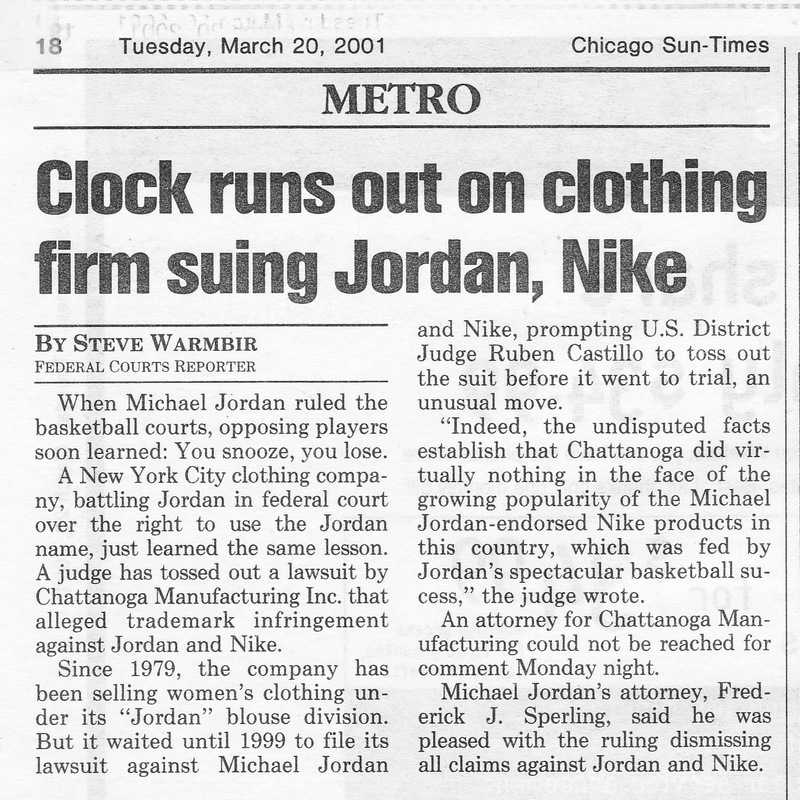 2002) (affirming summary judgment in Nike’s favor that dismissed apparel company’s claims against Nike’s use of Michael Jordan-related trademarks), affirming 140 F.Supp.2d 917 (N.D. Ill. 2001) (in collaboration with outstanding outside counsel Keith Medansky and Alan Dalinka). Winter v. G.P. Putnam’s Sons, 938 F. 2d 1003 (9th Cir. 1991) (affirming summary judgment secured for publisher of “The Encyclopedia of Mushrooms” on First Amendment grounds as against negligence and product liability claims). 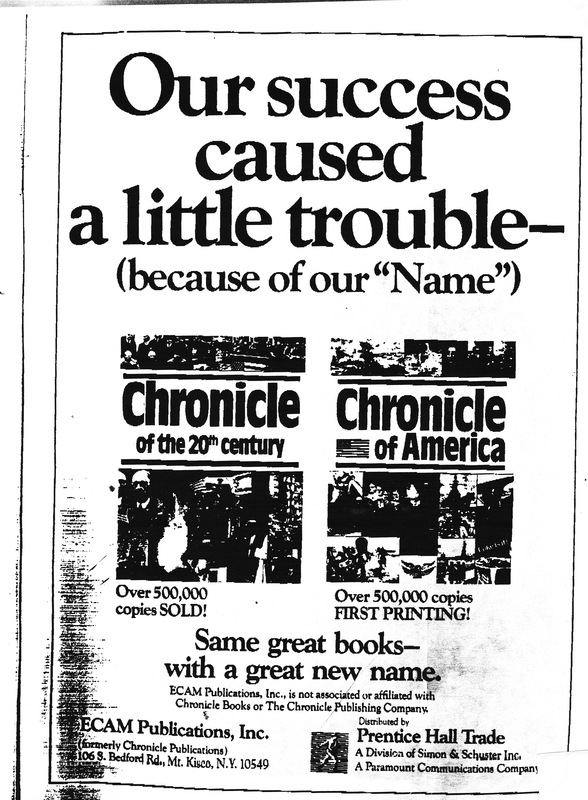 The Chronicle Publishing Co. v. Chronicle Publications, 738 F.Supp. 1071 (N.D. Cal. 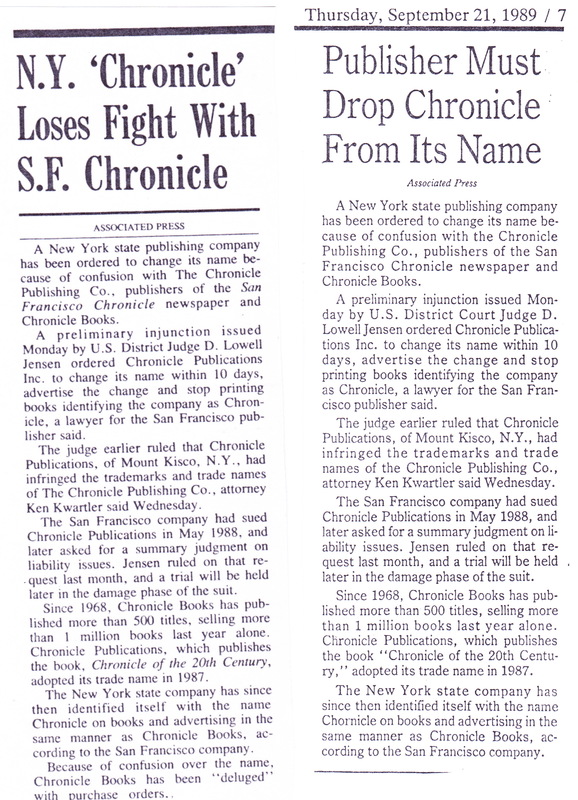 1989) (gaining injunctive relief and summary judgment on behalf of Chronicle Books in trademark infringement dispute involving (former) name of publisher of the best-selling book “Chronicle of the 20th Century“). Nike, Inc. v. Crystal International, WIPO Case No. D2001-0102 (2001) (successfully recapturing six Nike-based domain names (e.g., nikewomen.com, nike-shop.com) from cybersquatter). Nike, Inc. v. Azumano Travel, WIPO Case No. 2000-1598 (2000) (sucessfully recapturing niketravel.com and nikesportstravel.com from large Portland travel company). Nike, Inc. v. Farrukh Zia, WIPO Case No. D2000-0167 (2000) (successfully recapturing Nike-based domain names (e.g., e-nike.com) from cybersquatter)). Nike, Inc. v. Paul Verschoor, WIPO Case No. D2000-1707 (2000) (successfully recapturing nike-soccer.com and other domains). Nike, Inc. v. Khoo Lye, National Arbitration Forum FA0110000100180 (successfully recapturing niketown.net). Nike, Inc. v. Jaeik Jung, WIPO Case No. D2000-1471 (2000) (successfully recapturing various Nike related domain names). Nike, Inc. v. B.B. de Boer, WIPO Case No. D2000-1397 (2000) (successfully recapturing nike-shoes.com).